THE IT SUPPORT YOU NEED, WHEN YOU NEED IT. CloudARM leverage solutions used by big companies, bringing them to a scale that suits your business. IT Support in Newcastle and throughout the UK is our specialty. You don't need a whole IT department to get your business into the future. No matter where your business is based, we pride ourselves on being able to help you and solve your issues at a moments notice. We know your business is at the heart of everything you do. At CloudARM we want to talk to you and understand what would make your life easier by leveraging technology and making it easy to use and manage. Unlike some companies, we’re not tied to suppliers – so we’ll always recommend the best product for your situation without bias. Out of the box isn’t always best. Our solutions look at you individually and how we can best tailor offerings to meet your requirements. With over 30 years experience, our team are experts in their field. We bring big business solutions that can be used at your scale. We only work with the best systems in the business, using only solutions and companies we have firsthand experience with and trust. Sign up for a free, personal consultation. Enter your details for a free consultation on how best to leverage cloud based technology and bring your business up to date with our IT Support in today’s fast moving, always on environments. At CloudARM we have innovative managed service solutions that leverage current and future technology to help make your business the best it can be. Here are just a few examples of what we offer at CloudARM. What can CloudARM do for you? Are you using an old Hotmail or Yahoo address for your business? You’re better than that. CloudARM can have you up and running with a business class email address you can answer anywhere at anytime, within a day. Whether you have a new business or you’ve been in the game longer than us, you cannot underestimate the power of a strong presence online. CloudARM are able to provide guidance and assistance with getting your business onto the web and noticed by those that matter. Getting IT support in business either relies on an IT department or a know it all grandchild! CloudARM make it easy – we’ll be your IT department. No need to pay the wages of a whole department when you can count on us at a fraction of the cost. 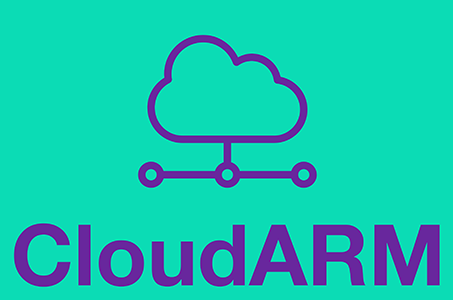 Everything we offer at CloudARM is cloud-based, meaning you can access it anywhere, from anything with an internet connection – so why should storage be any different? It doesn’t have to be. We offer fully backed up storage options which make sure you’ll never lose documents in a crash ever again! No more being sold whatever is making them a bonus from an uninformed salesman down at your local PC superstore. CloudARM’s team will look at your requirements and get you the best deal on the best product for what you need. Growing doesn’t have to come with pains. It doesn’t matter if you’re bringing on one new person or one hundred. Our solutions scale to whatever size you need. We can have someone setup with your systems at a moment’s notice and with minimal fuss. Managed Service that works for you. CloudARM worked with me to get my business idea off the ground. A full solution and support at ever step of the way. They really listened to my needs and made it work. Thanks guys! Our team have worked throughout the UK and Europe over the past 10 years to gather the experience needed to give your business the IT support that it needs and deserves. We pride ourselves on working how you want to work. Whether you need full time business IT support or a one off set up, CloudARM are the specialists for you. It doesn’t matter if you require IT support for a startup or support for a more established business, we are here to help. For a free, no obligation consultation on how we can support your company’s IT needs or manage your IT service, let us know. Here at CloudARM we’re always working on interesting client projects. From simple email setups and IT support to complete web design and implementation, the CloudARMY (yes, that’s what we call our workforce), are working on a lot at the moment. It’s managed service that works with you, for you. Rest assured – no job is too big or too small. We’re always looking to help local businesses step up in whatever way we can. We’d love to hear from you – do you think we might be able to help you? Do you think you might be able to help us? !